Kelvinbridge is a busy cultural borderland, with academic Hillhead, cosmopolitan Woodlands and posh Kelvinside all butting together around the eponymous bridge and Subway station. Among the fast-food outlets are a couple of gems – such as the excellent Philadelphia Fish & Chicken Bar – but it’s the selection of independent specialist shops that make Kelvinbridge a happy hunting ground for food lovers. 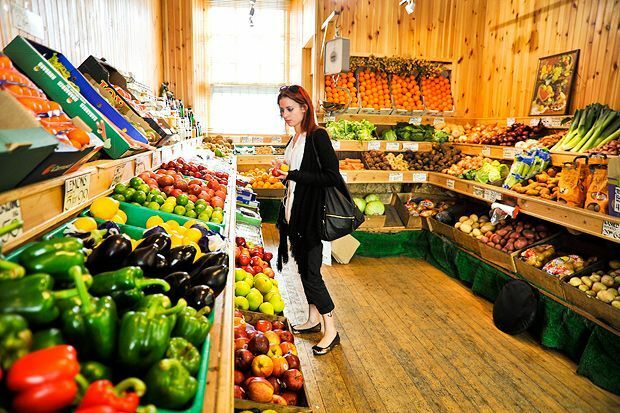 Roots and Fruits has been selling top-quality fresh produce in dizzying variety for forty years, and Garth Gulland’s little empire now has both a deli-café and a flower shop within the same elegant Caledonian Mansions building (as well as a branch in Finnieston). On the other side of the road, cheese specialist IJ Mellis now offers charcuterie, fresh bread and a selection of preserves alongside an extraordinary choice of artisan dairy products. There are more rich pickings a little further into town along Great Western Road – Lupe Pinto’s for Mexican and Spanish provisions and the best selection of tequila in town, Solly’s for Afro-Caribbean staples like fresh cassava and goat meat, and a number of good south-Asian supermarkets, sweet centres and butchers. Head the other way on GWR for fresh west-coast fish at Fantoosh or gourmet ready-meals at Cook. Former Kelvinbridge resident Martin Cross has been scribbling about food, beer and whisky for more years than he cares to remember. He’s currently the longest serving contributor to The List’s annual Eating and Drinking Guide.